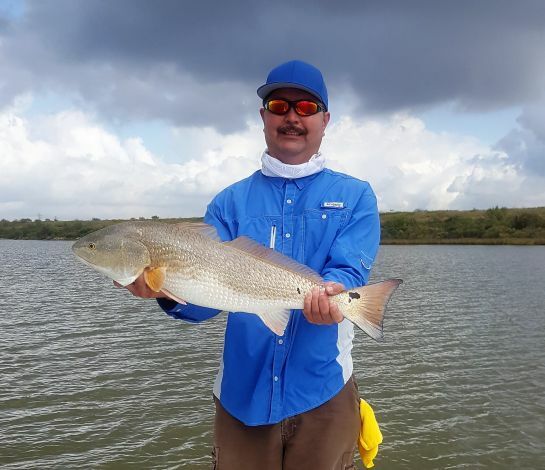 Summer is basically upon us and it's arrival will bring with it some of the finest fishing of the year for the Texas gulf coast. Warmer water temperatures, lighter winds and greener waters will hopefully kick these fish in to a feeding pattern and we can finally get back to catching again. The month of May is a good month to catch some larger than average speckled trout and June is even better. Smaller fish or "male specks" will be schooled up together over spawning locations so once you start catching a few small ones you are typically in a large school. The many croaks you will hear from the males will confirm your suspicions as female trout are silent and do not croak or grunt like the males. The urge to begin spawning will determine trout patterns this month with salinity levels and water temperatures mostly dictating these events. 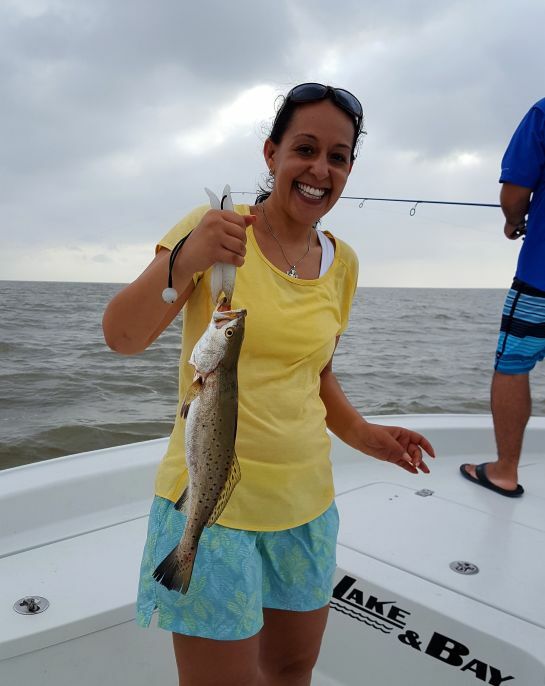 An average speckled trout is said to lay almost a million eggs per year and the bigger the female the more eggs she will lay so releasing the bigger fish is imperative to a healthy population for years to come. you can bet it will produce some very good fishing action. The prevailing winds of spring will tend to die out by the end of the month and perfect trout-like conditions settle in. As the fish pull off shallow shorelines and head to open water reefs their energy levels and feeding activities will increase dramatically. Look for slicks and nervous bait in open waters over areas where oyster reefs proliferate. 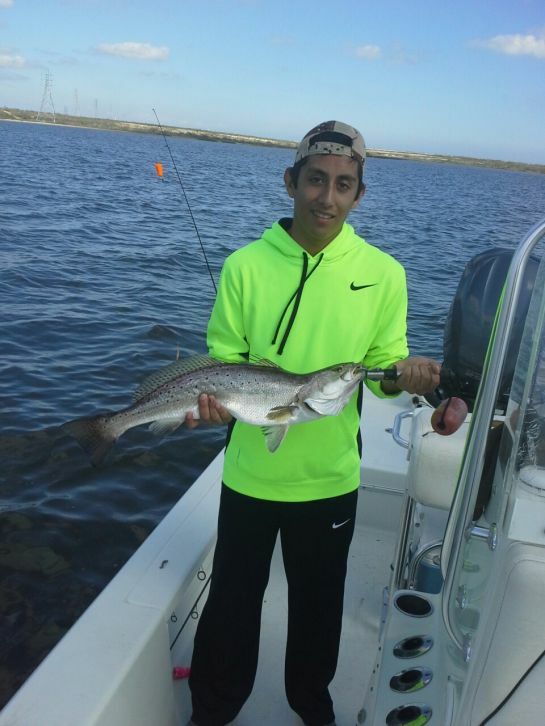 East Bay, Lower Galveston Bay and West Bay will all produce good catches of both speckled trout and redfish. Finding a flock of hovering seagulls over a school of fish can lead to some of the hottest fishing action you will ever experience. Throwing any lure in the action will receive an immediate hook up on any number of species. Small speckled trout and sand trout are the most common species caught but many others are lurking under the birds. Look for good bird action to occur from mid-day to dusk especially on days with afternoon outgoing tides. Topwaters, live bait, silver spoons and soft plastics will all work especially when "trout" conditions settle in. Good conditions like light SE winds and trout green waters are when artificials really produce best. My favorite set up for May is a light colored (typically limetreuse) soft plastic on a 1/4 oz jighead. It just simply catches fish! Certain times of day call for other methods like throwing topwater baits. Topwater action is most predictable at dawn and dusk but can happen at any time during the day also. The excitement of catching speckled trout and redfish on a topwater lure is almost un-comparable. Watching your topwater dance along as a super charged speck inhales it, in what can only be explained as an act of poetic violence, is what fishing dreams are made of. Live bait preferences will change towards the end of this month. 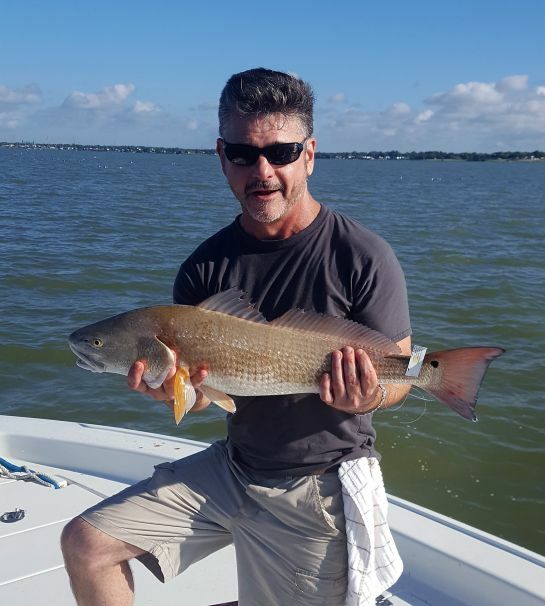 The croaker bite is typically not strong in early May but it ramps up by the end of the month and come June that becomes the live bait of choice for most anglers. The live shrimp bite will continue through May as the brown shrimp continue to migrate from area marshes. 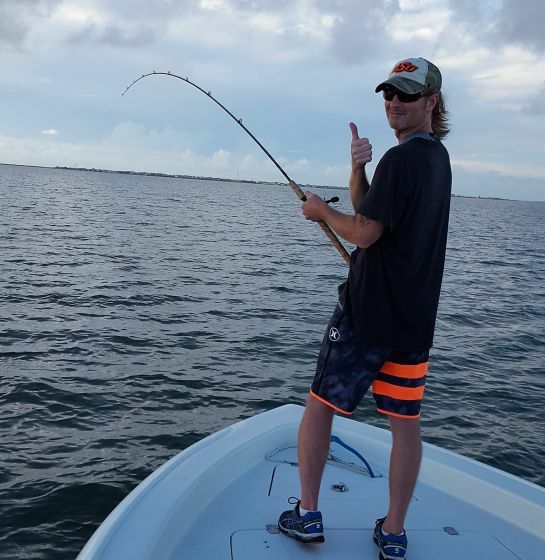 Free lining live shrimp is a good technique for the jetties or anywhere you might anchor up next to structure while a popping cork will produce best drifting over shell reefs or structure. It has been a disappointing spring so far but our fishery and bay system is very resilient and will bounce back. Everybody stay safe out there and don't forget to "take a kid fishing"! Thanks for the post. Question - I am not sure what part of the bay is "Lower Galveston Bay" can you offer some guidance on what you mean by this? I define Lower Galveston Bay as south of the TX City Dike down to the causeway from Swan Lake to the ship channel.